As the capital of Central Java, Semarang is often a tourist destination and a destination for overseas. 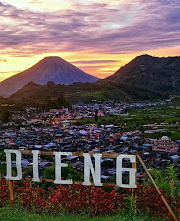 Its location on the coast on the north and the mountain in the south makes Semarang has a variety of interesting tourist attractions to visit. Not only famous tourist attractions, Semarang also has many tourist attractions that are rarely explored for its beauty. 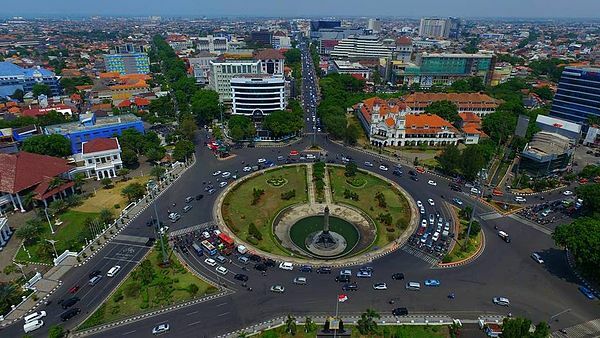 Semarang City is very suitable to be a tourist destination with family, couples, and friends because the place is quite crowded and many tourist locations can be visited. If you want to travel to Semarang, maybe you can visit some of the following tourist attractions in Semarang. Traveling to a tourist village can be an alternative vacation with family. In Semarang, there is one of the unique tourism villages, namely the Kalipancur Valley Tourism Village, Ngaliyan, Semarang City. 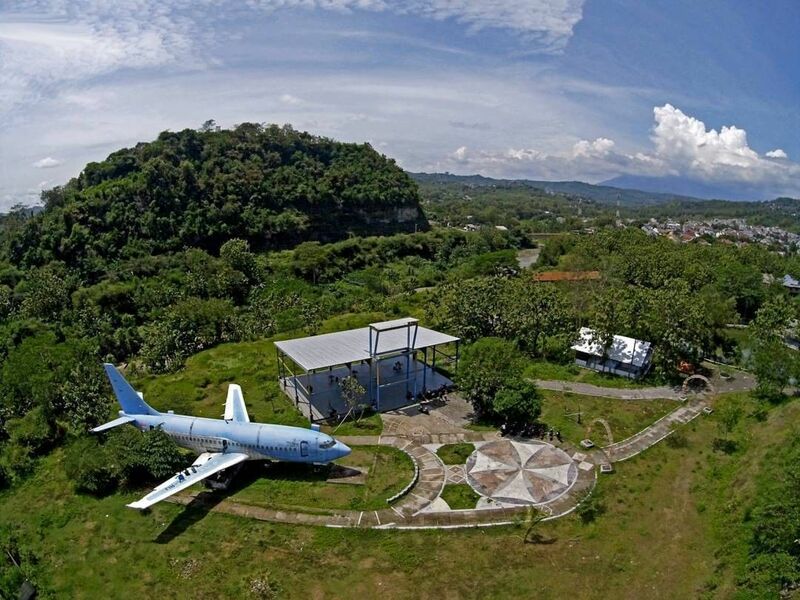 In this tourist spot you can find a plane wreck that is a spot for selfies here. This aircraft is a damaged aircraft that was deliberately brought in using containers by separating parts per new section and then reassembled after arriving at this village. The wreck of the plane is planned to be used as a café called Aeroplane Café, but until now it is still abandoned so many tourists enter the plane to take pictures. In addition to being able to take pictures near the plane or on the plane, visitors who come here can also enjoy other rides such as horse farms, goats, cows, as well as bridges ala Japan and Europe. To enjoy the cool atmosphere of a typical countryside with a charming view, tourists are only charged an entrance ticket of 3000 rupiah. Tourism viewing post is indeed becoming a trend among tourists, especially for those who are looking for a selfie photo spot. 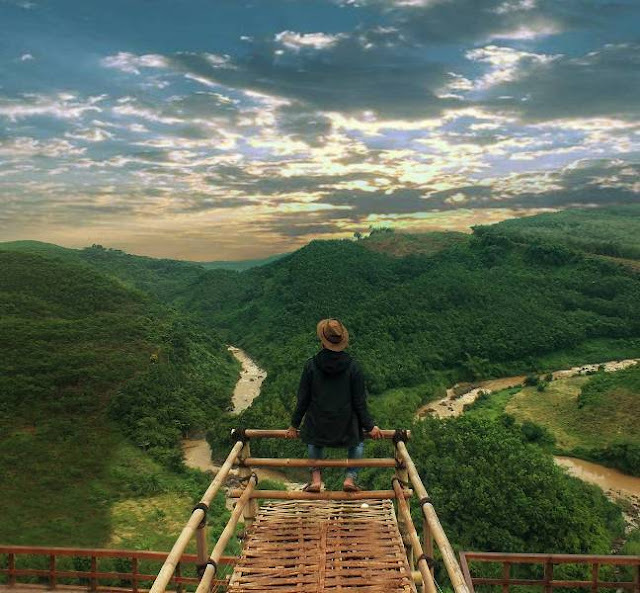 In several cities in Central Java, there are many spots of viewing post that offer natural scenery from a height, one of which is in Semarang. Tourist attractions located in Gertas Hamlet, Brongkol Jambu, Ambarawa are still relatively new so there are not many tourists visiting this place. This Lightning Slope viewing post is located at an altitude of 715 meters above sea level which is located beside the cliff. Visitors who visit this place can enjoy the cool atmosphere with green scenery while looking for the best angle to take selfie photos. The most beautiful scenery in this place is when the sun rises or sunrise so that visitors who want to see it are strongly advised to camp in the camping ground that has been provided. While waiting for morning, visitors who are camping can also enjoy the view of the city of Semarang at night with very many lights. 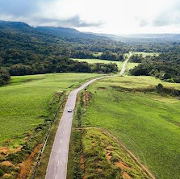 To get to this viewing post is not easy because the road access is enough to trigger adrenaline, so high alertness and excellent vehicle conditions are needed. Entrance ticket that must be paid by visitors when visiting this place is 5000 rupiah for weekdays and 7000 rupiah for weekends. In addition to the Sloping Slope viewing post, there is another selfie spot with views of the green hills namely Bantir Hills. The viewing post is located at Jalan Bantir, Losari Village, Sumowono Sub-District, Semarang, recently opened. But because of its location on the slopes of the mountain Ungaran with a height of 1000 meters, it offers breathtaking natural beauty so that its popularity quickly rises. In this place visitors will be presented with views of the mountains from the viewing post with very cool air. To enjoy the beauty offered by this place, visitors must be willing to walk with a fairly uphill track. Although it is quite exhausting, the scenery offered along the way will make your eyes feel fresh because you will find rice fields, plantations, and even a flower garden. Because it is still relatively new, in Bantir Hills there are no stalls selling food and drinks so visitors are advised to bring their own supplies so as not to starve. 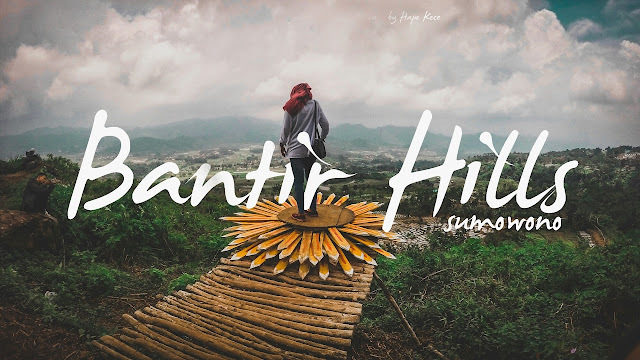 This one tourist spot is now a tourist spot that must be visited while in Semarang, especially for those who are looking for the most interesting photo spots in Semarang. This location is actually not a tourist place because this place is a mining location that is still operating. 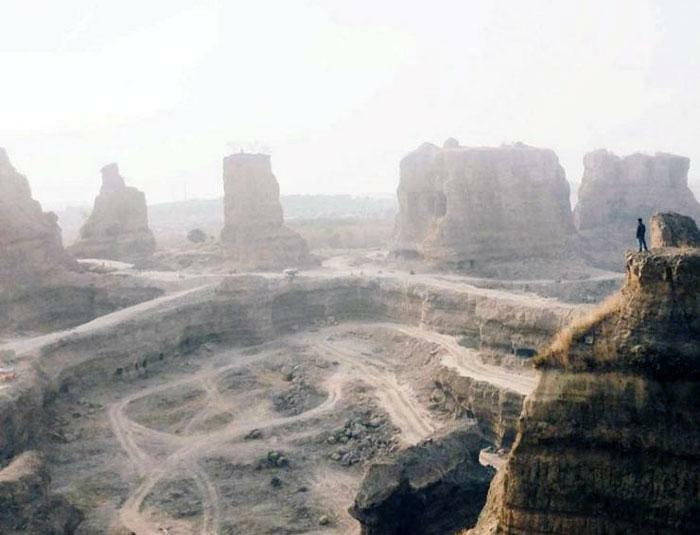 Mining activities carried out by miners form several cliffs with unique textures that resemble the Grand Canyon in the United States. The location of Brown Canyon is in Rowosari, Meteseh, Tembalang, Semarang, but to get there you have to take the courage to ask the local residents because there are no road directions to the location. In this place you can do selfies between towering cliffs or engage in challenging activities such as crossing extreme tracks using a bicycle / motorcycle. For those of you who like adventure, maybe visiting this place will make your desire for challenges become satisfied. 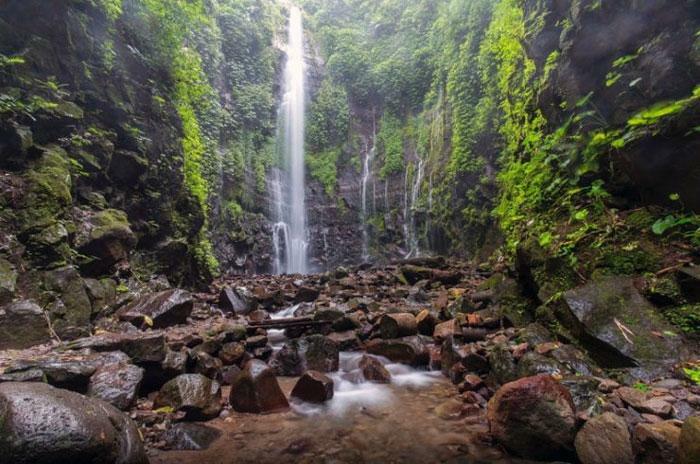 Lawe and Benowo waterfalls are in the same location, which is on the slopes of Mount Ungaran, Langgar, Ungaran Barat, Gonoharjo, Lombangan. Lawe waterfall is a 40 meter high waterfall that has a high water discharge. Whereas Benowo waterfall is under Lawe waterfall with multi-story features. To get to the waterfall is not something easy because tourists have to go through a terrain that is quite difficult and slippery so it is recommended to wear anti-skid shoes / sandals. The long and tiring journey will pay off when you see the magnificent scenery of the waterfall with the surrounding scenery still very awake. Of the several list of tourist attractions in Semarang, maybe you've heard or even visited it. But the charm offered will make you want to get there immediately to feel the natural beauty presented.